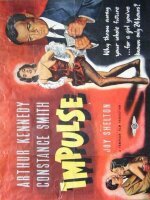 Kennedy has a fling with nightclub singer Constance Smith, who involves him in a crime. Producers Robert S Baker and Monty Berman began with B-films like this, moved into Hammer-style horror, and ended up developing several major TV series. Screenwriter "Jonathan Roach" is actually director Cy Endfield, taking refuge in the UK from the McCarthy witch-hunts.